A new study throws conventional wisdom about salt on its head, and could change how we think about the seasoning. An astonishing new report on salt suggests that everything you think you know about the seasoning is wrong, especially the conventional wisdom that consuming salt makes you thirst. In fact, it makes you hungry, claims the study put out by an international group of researchers as part of research into a mission to Mars. Researchers put the old adage that salt causes thirst to test in order to see if consuming it would make astronauts drink more water and produce more urine. They tested two separate groups of 10 male test subjects sealed in an astronaut-like environment, one for 105 days and the other for 205, and gave them identical diets except for salt levels. 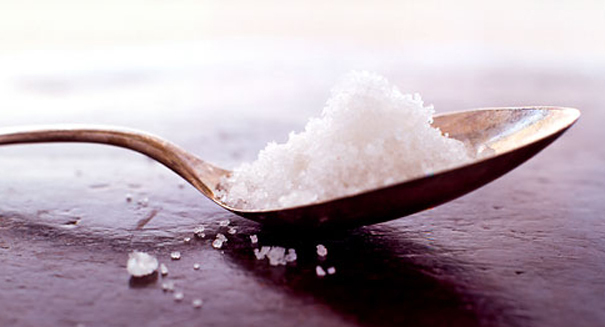 They found that a salty diet actually caused test subjects to drink less. Apparently, salt triggers a mechanism in the kidneys to conserve water, but also produce urea, which consumes energy and stimulates hunger rather than thirst. Scientists had previously assumed that salt held water molecules in the body and caused more urination, making people feel thirsty, but this study could change that conventional thinking.